I have to say Essie is probably my favorite brand right now. I don't think Essie has ever been my favorite brand, but lately they are knocking it out of the park with their collections. I am loving all of the great colors colors they're releasing! This next color is form the Resort 2013 collection. Come Here is a bright coral-red creme. 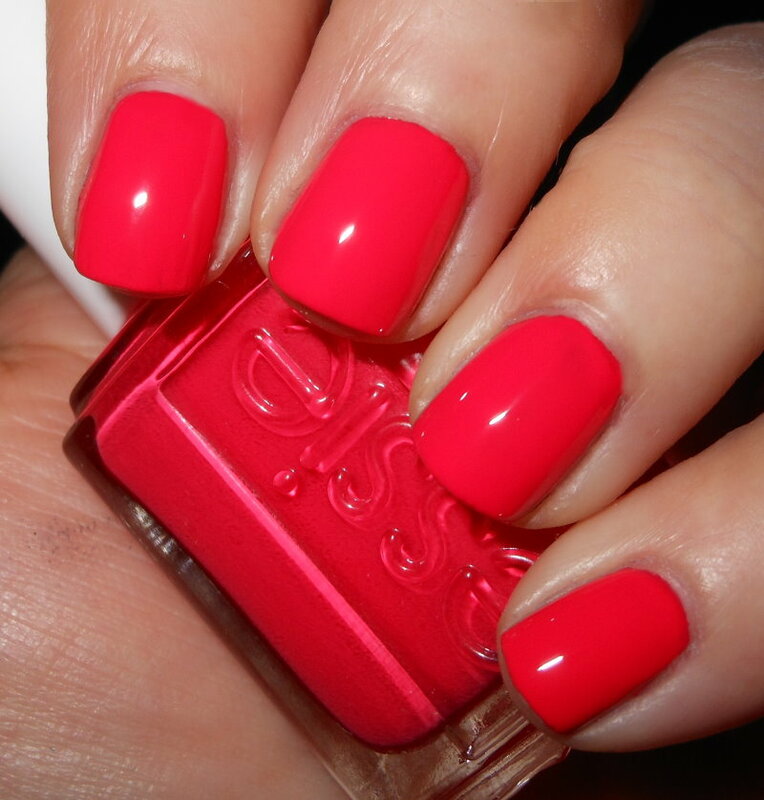 Color: Gorgeous pigmented bright shade coral red! I love colors like this! I wouldn't call this neon, but it is very close to one. I think this color is great, but I'm sure there are colors similar to this out there. I am very happy to have this though. Formula: This was easy to use. I did not have any problems with application. I used 2 coats for the swatch above. I'd say the formula is pretty standard, it was good, not bad in the slightest, but not the best formula in the world either. Price: I paid $8 for this one at Walgreens. $8 is starting to become pretty average nail polish price, so I'm ok with it. I wouldn't be sad if Essie's were $5 or $6 though! Overall: Beautiful bright and lively color. I really enjoy this polish personally. If you're fan of bright warm shades I'd recommend this if you don't have something like it already. I totally love this colour wow! I am already an Essie fan but this is seriously impressive! Perfect for a warm weather pedi! This polish looks great on you!! I might have to go pick this one up! I'm not the biggest Essie fan, but I would love this color for a pedi! Pretty color! I love this! What a fantastic summer red.